SAPULPA – Striving for excellence is Bixby High’s motto this basketball season. The motto isn’t about wins and losses but refers to striving for excellence each time out on the floor. The Lady Spartans took improvement steps during each game of the recent Sapulpa Holiday Classic, capped off by an impressive 63-51 victory over Greenwood, Ark., in the consolation championship game last Friday afternoon. Numerous players made significant contributions during the tourney. 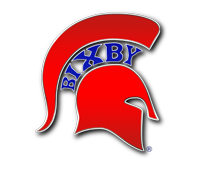 Bixby, 7-2 on the season, returns to tournament play Thursday, Jan. 4, in the Putnam City Invitational at Putnam North High’s gymnasium. The Lady Spartans play PC North at 5:30 p.m. in the tourney opener. The Lady Spartans opened the Sapulpa tourney with a 49-45 loss to Midwest City but regrouped to defeat Broken Arrow, 51-41, to reach the consolation finals. Midwest City, which lost in overtime to Sapulpa in the third-place game, led Bixby, 38-27, going into the final quarter. 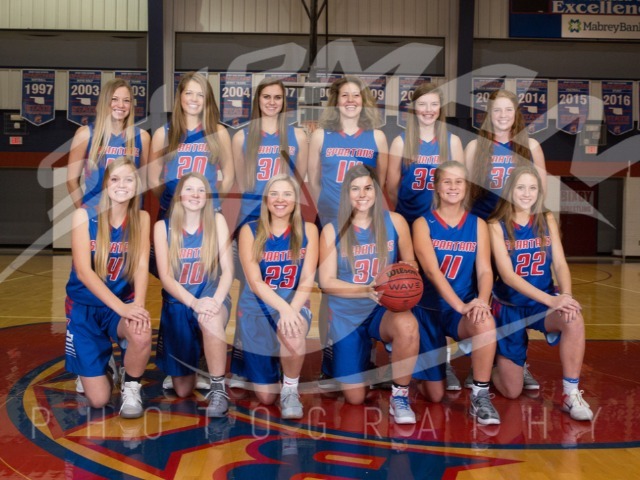 The Lady Bombers were on top, 41-29, before Bixby scored nine straight points – five by Savanna Stout – to trim the gap to 41-38 and when Sydnee Schovanec scored fourth consecutive points the Lady Spartans tied the game at 42-all. Turnovers at crucial times down the stretch allowed Midwest City to pull away with the win. Stout led BHS in scoring with 10 points, followed by Maddie Bittle with nine, Sarah Tyree with seven, Schovanec six, Dariann Myles five, Sydney Page three, Landry Williams three and Kate Bradley two. Against Broken Arrow, Bixby led 24-12 at halftime and the Lady Spartans maintained control throughout but were unable to separate until late in the game because of the hot-shooting of BA guard Kinsey Callen, who hit 15 of her 24 points in the second half on five treys. Bixby finished with three players scoring in double figures, led by Bittle’s 15 points. Tyree added 11, Schovanec 10, Williams eight, Myles three, Kenedy Brown two and Page two. 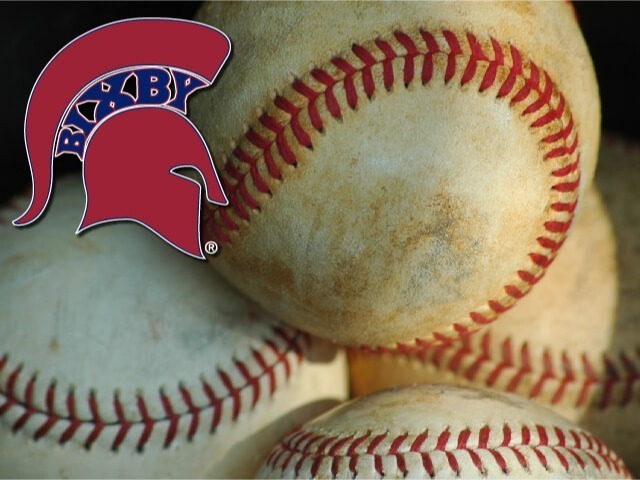 The Lady Spartans turned in their finest performance against Greenwood, 7-7 on the season. Bixby battled to a 14-12 first quarter lead while Greenwood scored the final three points of the first half to tie the game at 29-all. Trailing 31-29 early in the third period, Bixby reeled off nine straight points to take a 38-31 lead with 4:24 showing. Schovanec hit four points, Myles drained a three-pointer and Bittle scored on a layup during the surge. With the game tied 42-all early in the final quarter, Bixby scored 13 consecutive points for a 55-42 lead with four minutes remaining in the game. Stout started the rally with a three-pointer while Bittle contributed eight points and Myles sank two free throws. Bittle, an all-tournament selection, led Bixby in scoring with 26 points, including 12 points in the final five plus minutes of the game. Myles scored 12, followed by Schovanec with seven, Stout six, Williams five, Tyree three, Brown two and Page two. Bradley missed the game because of illness. “I thought the girls were ready to play today. We had a little trouble getting into our offense early because of their pressure. They’re a well-coached team and kept pressure on us. I’m glad we had the opportunity to work against that pressure,” Coach Thomas said of Greenwood.